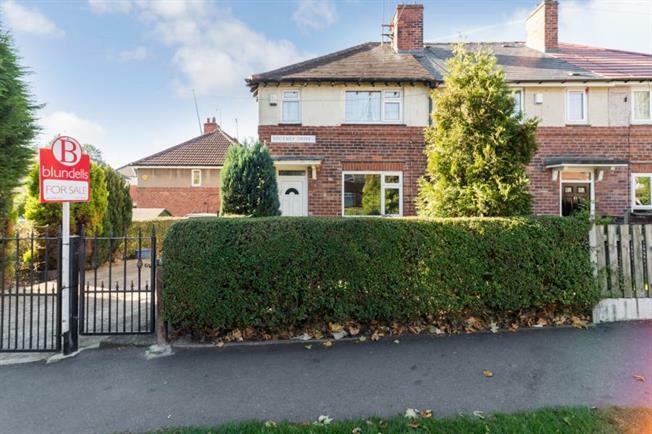 2 Bedroom Semi Detached House For Sale in Sheffield for Guide Price £80,000. An excellent opportunity to acquire with no chain, this two bedroomed end town house, located in the heart of this popular and convenient location. Offering spacious accommodation over two levels with the benefit of double glazing, GCH, occasional attic room, off road parking and rear gardens. Ideally located for excellent amenities including local shops and supermarkets, schooling, public transport links, park and access to the Northern General Hospital. The accommodation comprises an entrance hallway with stairs to first floor landing, a lounge with wood effect flooring, a spacious dining kitchen with an excellent range of base and wall units in a modern white gloiss finish with granite effect work surfacing. On the first floor are two generous bedrooms and a bathroom with three piece suite comprising WC, wash basin and shower. To the exterior is a gated driveway to the side and to the rear a garden area providing an excellent outdoor seating and entertaining area.